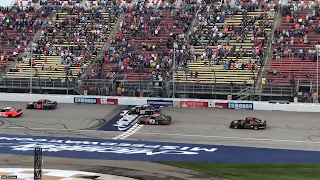 Jeff Green picked up the 109th last-place finish of his NASCAR XFINITY Series career in Saturday’s LTi Printing 250 at the Michigan International Speedway when his unsponsored #93 RSS Racing Chevrolet fell out with a vibration after 5 of 91 laps. The finish, which came in Green’s 493rd series start, was his series-leading seventh of the 2018 season and his second in a row. 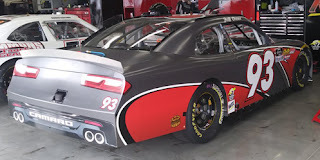 In the XFINITY Series last-place standings, it’s the 34th for car #93, the 135th by reason of a vibration, and the 505th for Chevrolet. Across NASCAR’s top three series, it’s the 84th for the #93, the 207th for a vibration, and the 1,602nd for Chevrolet. Green was set to be one of 41 drivers entered in Saturday’s race. That list shrank by one on Thursday, when JGL Racing withdrew the #28 Fatal Clothing Ford after driver Dylan Lupton parted ways with the team. Just 37 of the remaining 40 drivers turned laps in Friday’s opening practice with Green 35th overall, ahead of Talladega last-placer Spencer Boyd and Josh Bilicki. Green did not participate in Happy Hour, and a washed-out qualifying session secured him 31st on the grid with the Past Champion’s Provisional. With the remainder of the field set by owner attempts, the 40th starting spot fell to Kaz Grala, whose new ride at Fury Race Cars LLC was making its third of four planned starts in the #61 NETTTS Ford. However, according to a video posted by the speedway, five other drivers had fallen to the rear, lifting him to 35th as he took the green. Last at the stripe went to Morgan Shepherd, scheduled to start 39th in the #89 VisOne RV Chevrolet that failed to make last week’s race at Pocono. Shepherd received one of the day’s three tail end penalties, his for unapproved adjustments. The other two went to Chad Finchum, his #40 Smithbilt Homes Toyota slated to start 36th before an engine change, and 9th-place starter Justin Allgiaer, for unapproved adjustments on the #7 Brandt Professional Agriculture Chevrolet. Ahead of 40th-place Shepherd was Jeff Green, followed by 38th-place Josh Williams, whose #90 Sleep Well / Bethel Glass & Shower Door Chevrolet had lined-up 26th. Timmy Hill’s #66 Dodge retained his original 37th spot while B.J. McLeod moved Mike Harmon’s #74 Horizon Transport Chevrolet up from 38th to 36th. On Lap 6, Shepherd was still in last, 14.278 seconds back, when Green surrendered the 37th spot under green to pull behind the wall, done for the afternoon. Shepherd turned 34 laps before he exited the race with brake problems for a 38th-place finish. Between the two came Joey Gase, whose #35 Sparks Energy, Inc. Chevrolet fell out with overheating issues. It’s Gase’s worst finish of the season since a 33rd at Daytona. 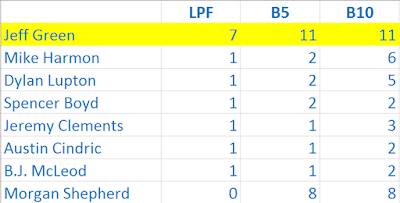 Crashes filled the rest of the Bottom Five before rain shortened the event. 37th-place Alex Labbe, Gase’s teammate at Go FAS Racing, spun to the inside of Turn 1, ripping the splitter and much of the front clip from his #36 Can-Am / Wholey / Cyclops Chevrolet. Labbe made it to pit road, only to fall out. 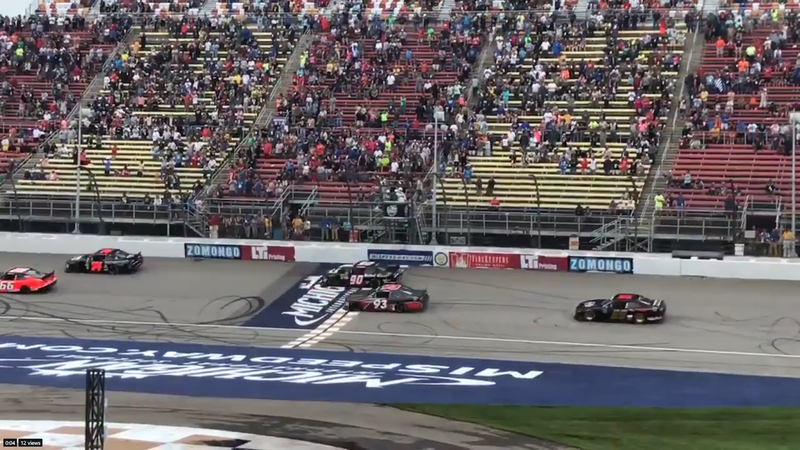 This gave both Go FAS Racing teammates their first Bottom Five runs of 2018. Rounding out the group was Matt Mills, who lost a tire in Turn 1 and pounded the outside wall in JD Motorsports’ #15 Flex Glue Chevrolet. After a few anxious moments, Mills climbed from the car under his own power. *This was Green’s first-ever XFINITY Series last-place finish at Michigan in 17 career starts at the track. 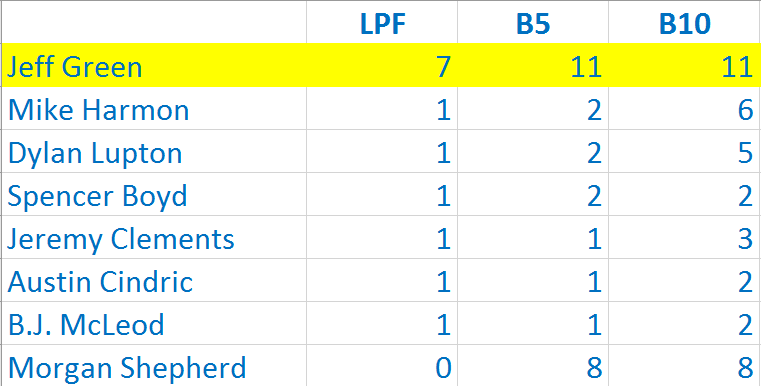 Among tracks on the current 2018 XFINITY Series schedule, Green has finished last at every track at least one time with the sole exception of Darlington (24 starts). Curiously, it was at the Darlington track in 2015 that Ryan Ellis put to an end Green’s NASCAR record streak of eight consecutive last-place finishes. Green finished 38th. This statistic does not count the upcoming Charlotte “Roval” set to debut in September. *This marked the first last-place finish for the #93 in an XFINITY Series race at Michigan. So I have the feeling that I may witness history for the 2nd time this yr when I attend the race at Darlington. Very Interesting!